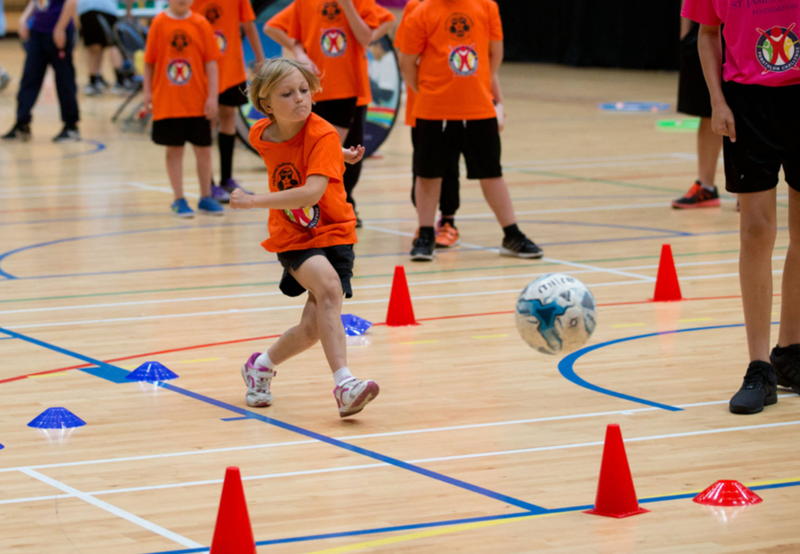 Gresham School in Croydon and The Albert Pye School from Suffolk were the big winners at Panathlon’s London and South East Primary Finals at the Queen Elizabeth Olympic Park’s Copper Box Arena. 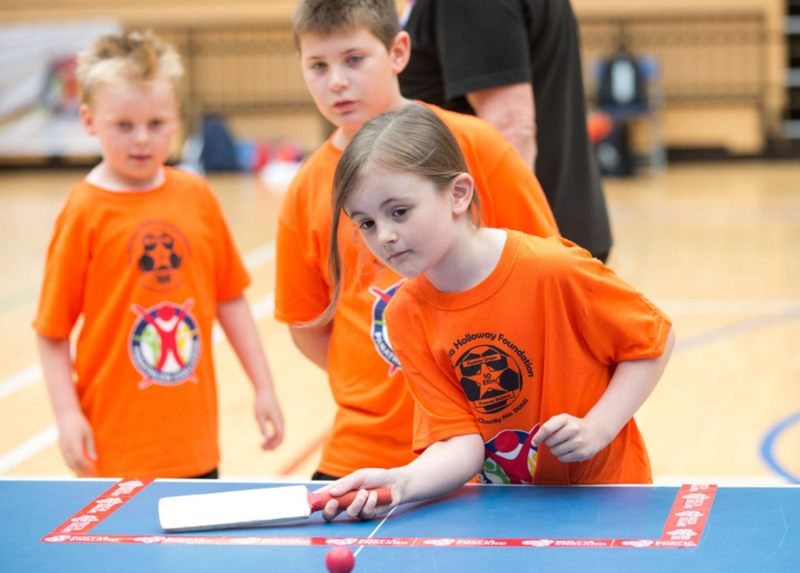 Teams from 21 schools, who had all qualified from regional events, gathered at the 2012 Olympic and Paralympic venue, which for the purposes of this huge event was split into two: one side for London schools and another competition for those in the south east. The London competition was itself split into two heats: the Wembley Stadium Trust heat, won by Gresham School, and the Mayor of London heat, won by Goldbeaters School from Barnet. Gresham won the overall title with 47 points, ahead of Goldbeaters on 45, with Enfield’s Eastfield School and The Warren School from Barking and Dagenham picking up silvers in each heat. Redriff from Southwark and Broadfields from Barnet collected bronze. Across the other side of the hall, Albert Pye School from Beccles in Suffolk were crowned South East champions, beating Halifax School from Ipswich into second, and Colchester’s Doucecroft School, who went home with bronze. 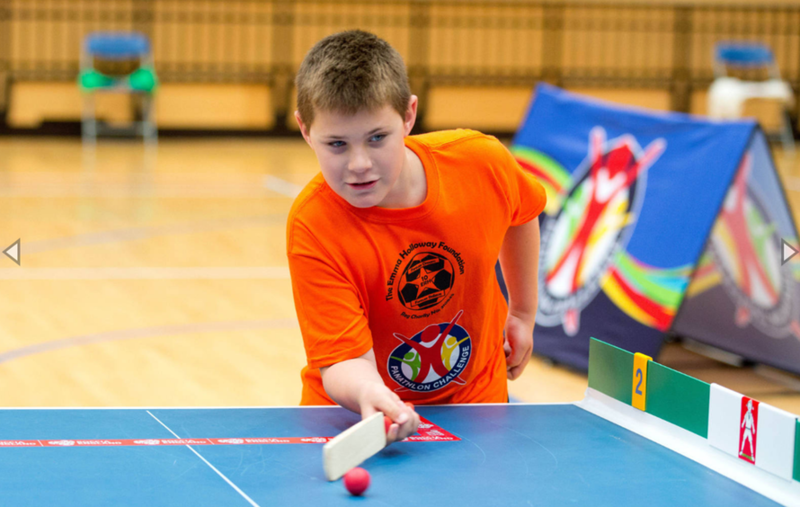 His PE teacher, Stuart McKenzie, has been leading lunchtime and after-school practice sessions specifically for Panathlon competitions. He said: “One of the many, many things we love about this competition is that it’s not a ‘well done you’ tap-on-the-head kind of event. 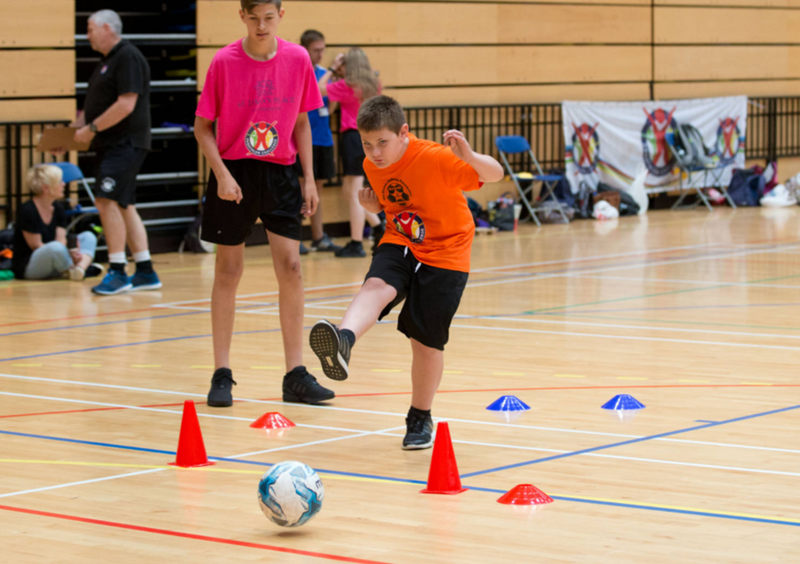 The competition, like all of Panathlon’s primary-age events, was made possible by the funding of the Wembley National Stadium Trust, whose Chief Executive Stewart Goshawk was in attendance to hand out medals and trophies. “From our point of view this has been a tremendous partnership and a truly rewarding experience. 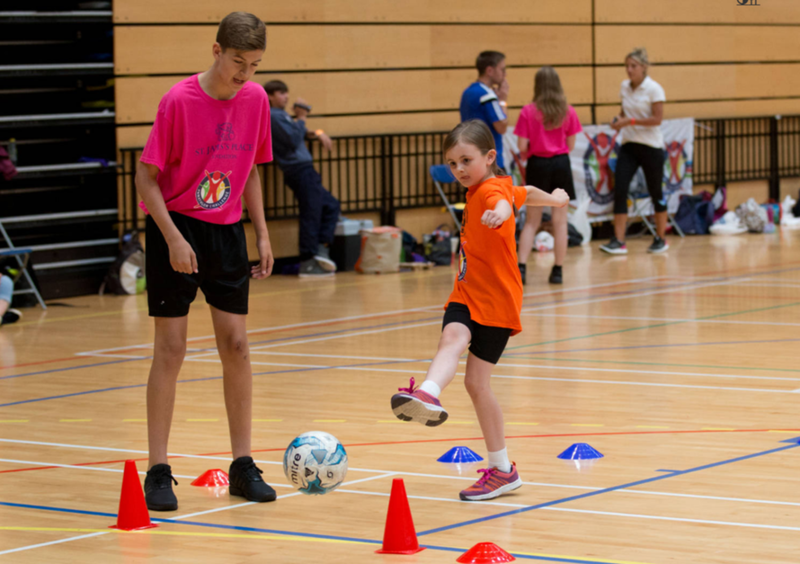 Getting out and seeing the students having the most fantastic time is a testament to all the work that goes into it, and the skills that the children learn here will have a knock-on effect back in the classroom,” he said. 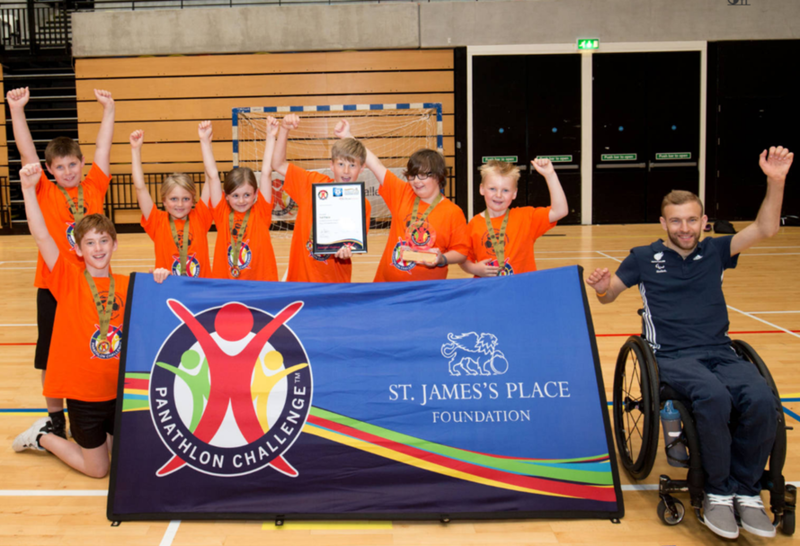 Helping Stewart with prize-giving was Panathlon Ambassador Jonathan Coggan, who has competed in four Paralympic Games as a member of the GB wheelchair rugby team, and has just returned from Germany, having retained the European Championship title by beating Sweden.